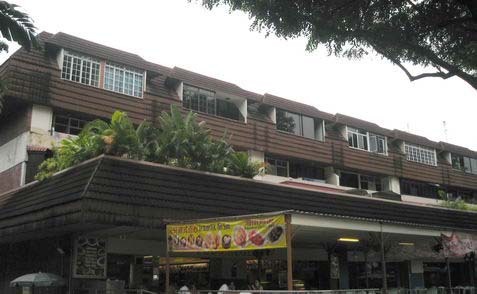 Novena Ville, a 43-unit mixed-use development along Thomson Road, has been put up for en-bloc sale. Its marketing agent Credo Real Estate says it is expected to be hotly contested as it has the potential to accommodate shops on the ground floor. Credo adds that the sellers are expecting offers in the region of $125 million to $135 million. The freehold site has an area of 51,092sqft and with a Gross Plot Ratio (GPR) of 1.4 and an allowable height of up to four storeys. Depending on the quantum of commercial and residential GFA proposed, Credo says the prices translate to land rates of about $1,748 to $1,887psf ppr for redevelopment up to a GPR of 1.4. If the extra 10% allowance for the balcony space of the residential component is included, the land rates will be reduced to the range of $1,626 to $1,756psf ppr, as no development charge is payable for redevelopment of the site. Tan Hong Boon, deputy managing director at Credo Real Estate said: "This rare mixed-use site may be developed into a residential and retail project that has been gaining popularity of late. In recent months, shops at the first level of newly launched projects located in the suburbs such as East Village were reported to have breached the $5,000 psf mark." The tender for Novena Ville closes at 2.30pm on 24 May. No Comment to " Enbloc News: Novena Ville "